Experienced Staff – Roofing is an essential element in your home, providing protection and security for your family. Bolechowski Construction LLC maintains fully trained, fully insured and experienced staff, ensuring your roofing project is installed carefully and completely. Trusting your new roof means trusting the installation contractors, and Bolechowski Construction LLC works hard to earn your trust. Competitive – Roofing contractors need to be competitive. But Bolechowski Construction LLC goes beyond the price wars and offers a superior job for a reasonable price, creating better value for customers. Bolechowski Construction LLC doesn't skimp on the details and offers a wide range of quality roofing products at affordable prices. 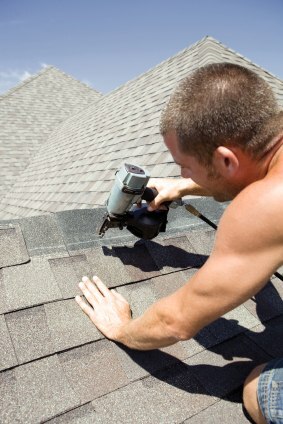 Trust Bolechowski Construction LLC for all of your roofing needs. Their experienced staff will work hard to ensure your satisfaction and their affordable prices are sure to fit your home improvement budget. Call Bolechowski Construction LLC at (651) 237-3491 for more information or to obtain a free estimate on your roofing project.